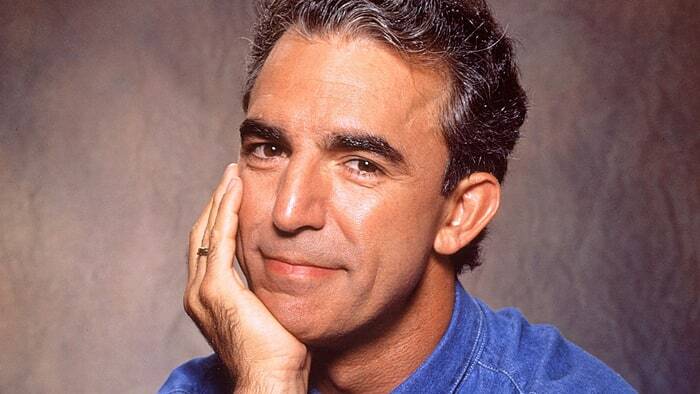 If you watched Jay Thomas’ annual appearance on the Letterman Christmas show – and by watch I mean absorb and study – you noticed a few details that might have evaded a more casual viewer. I’m thinking about the story and Thomas’ annual guest spot earlier than usual this year because he died yesterday at age 69. He had a wonderful career playing comedic parts in TV and film, but for me and millions of Letterman fans, Jay Thomas was synonymous with Christmas above all else. The trademark Lone Ranger story could expand and contract from year to year, but always included a few central facts and phrases that somehow were as much of a holiday tradition as mistletoe, holly and egg nog. We had to wait; Thomas was always the second guest, often following some boring star who seemed to have no idea he was the lead-in to a series of beloved Christmas traditions. It would be a disservice to tell the entire story here. Watch it here to get the full effect. Of course, the story was just the beginning of the fun. From there, the two men would move on to the Holiday Quarterback Challenge, wherein they would take turns throwing footballs, attempting to knock a giant meatball from the top of the giant Christmas tree on stage. Years before, Letterman had stopped explaining why there was a meatball on top of the Christmas tree, but faithful viewers knew it went back to the early days on CBS, when local merchants were part of the show. To finish decorating the tree one year, a parade of locals came in, climbed a ladder and added: a pizza, a replica of the Empire State Building and then a meatball on top of the whole thing – the perfect symbol of the show’s ongoing irreverence and disdain for traditional talk show norms. In 1998, Thomas had bested then-NFL quarterback Vinny Testaverde and knocked the meatball off with a perfectly thrown spiral. That was the last time Testaverde appeared on the show, but every year Thomas returned and took turns with Letterman heaving footballs at the meatball. One of them usually hit it within the first 10 throws. In 2013, Thomas was recovering from neck surgery and couldn’t do the show. Letterman had John McEnroe substitute and tell the same story. It was clear to careful observers he had studied the Thomas appearance from the year before because he delivered the story with the same beats and one-off details as Thomas did that year. In 2014, Thomas was back to wrap up the tradition on the final Christmas show before Letterman retired the following spring. We continue to watch that episode every Christmas at our house, just as we watch the Grinch and Charlie Brown.